WILLEMSTAD - On October 24 a delegation from Venezuela, consisting of the President of the Venezuelan Oil Company PDVSA Dr. Nelson Martinez and Vice Minister of Caribbean Relations Mr. Raul Licausi, visited Curaçao to meet with Prime Minister Eugene Rhuggenaath and representatives of the Curaçao Oil Refinery (RdK) and the Multi-Disciplinary Project Team (MDPT). During this meeting at Fort Amsterdam, the parties talked about the possibilities for the future of the refinery. 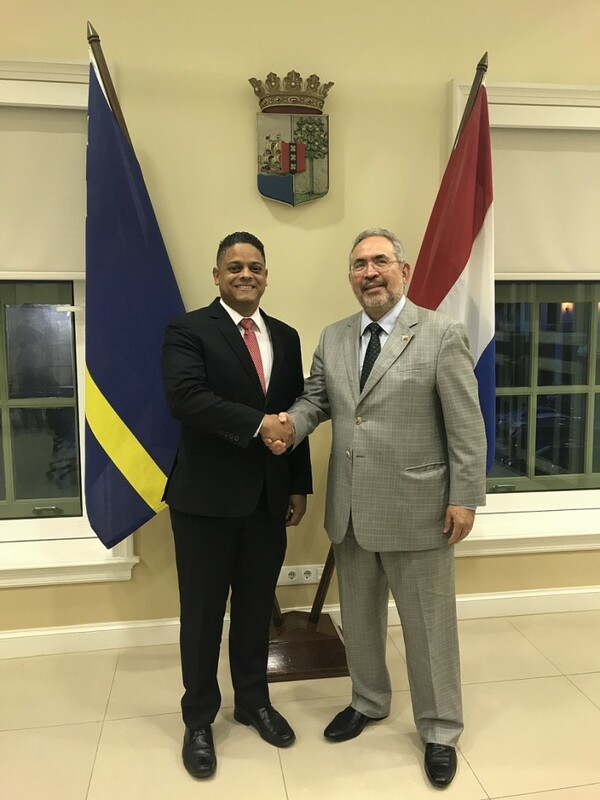 Mr. Martinez expressed interest in keeping PDVSA involved with the Curaçao refinery. 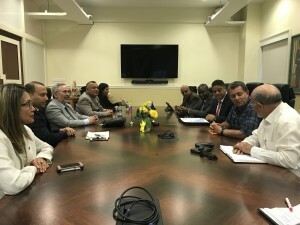 These talks are part of the efforts of the government to reach the best solution possible for the future of the islands oil sector taking into account the financial, social-economic, labor and environmental aspects.